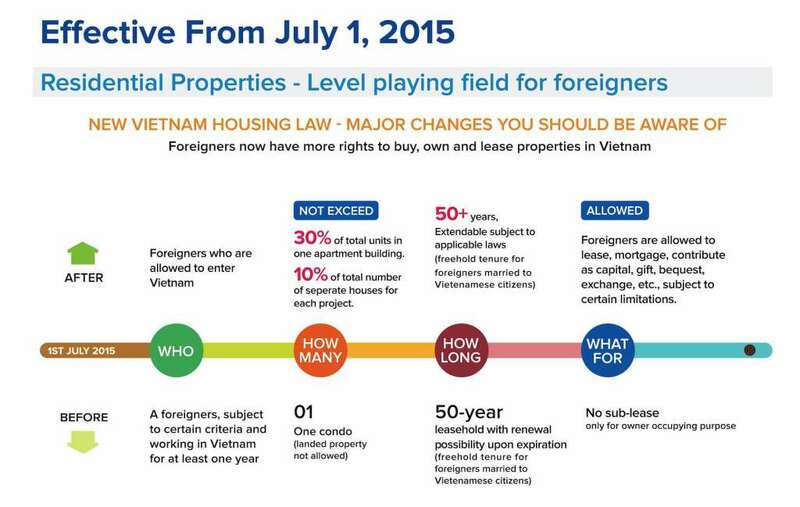 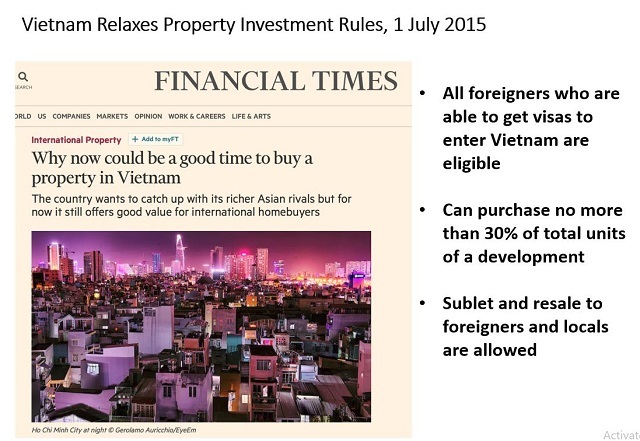 Vietnam’s new residential housing law implemented on 1st July 2015 allows foreigners to buy properties in the country. 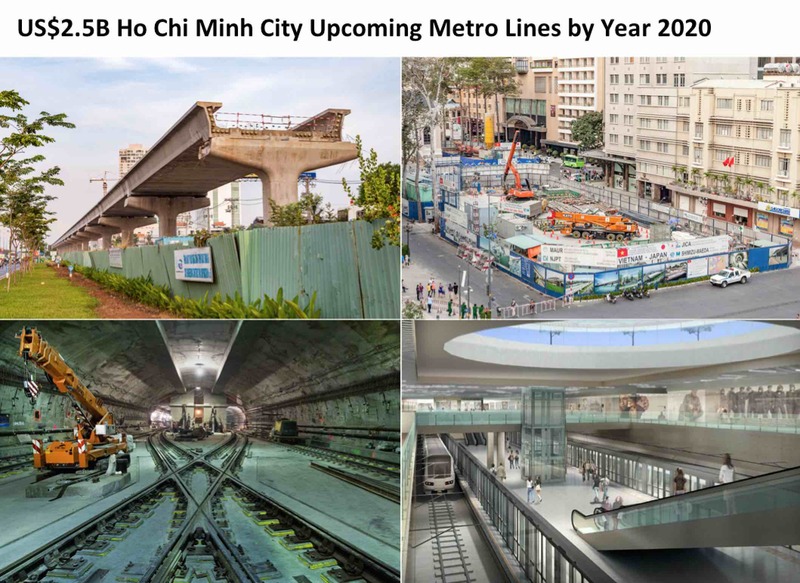 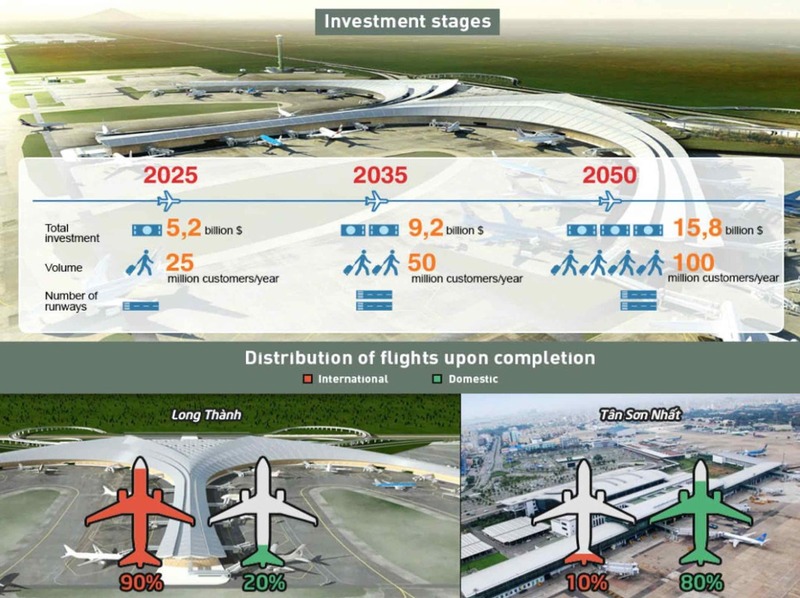 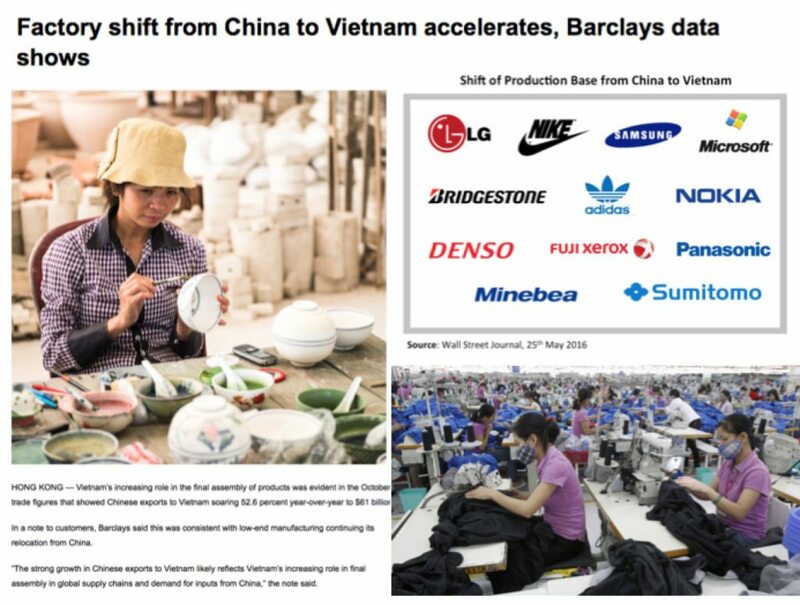 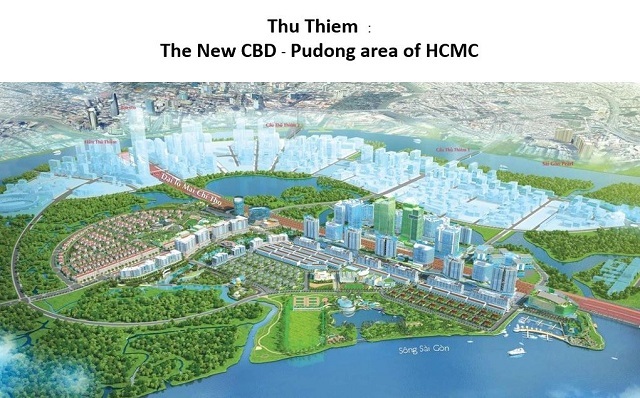 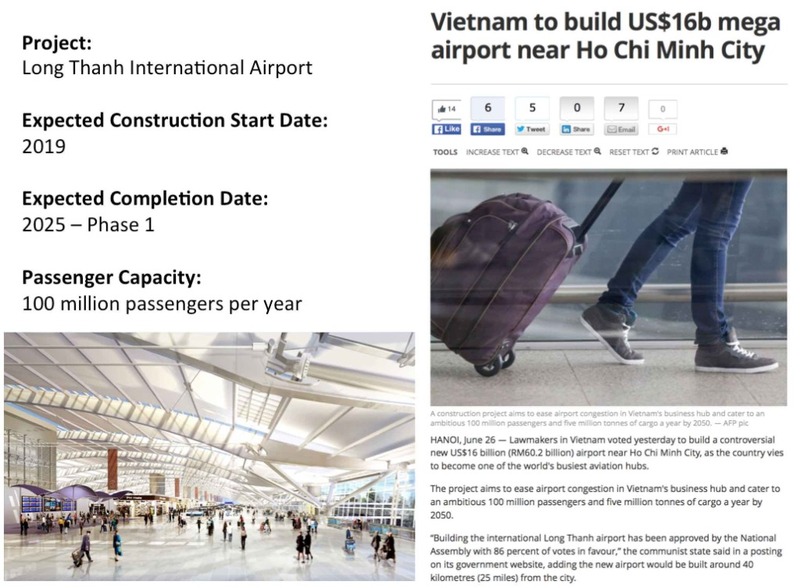 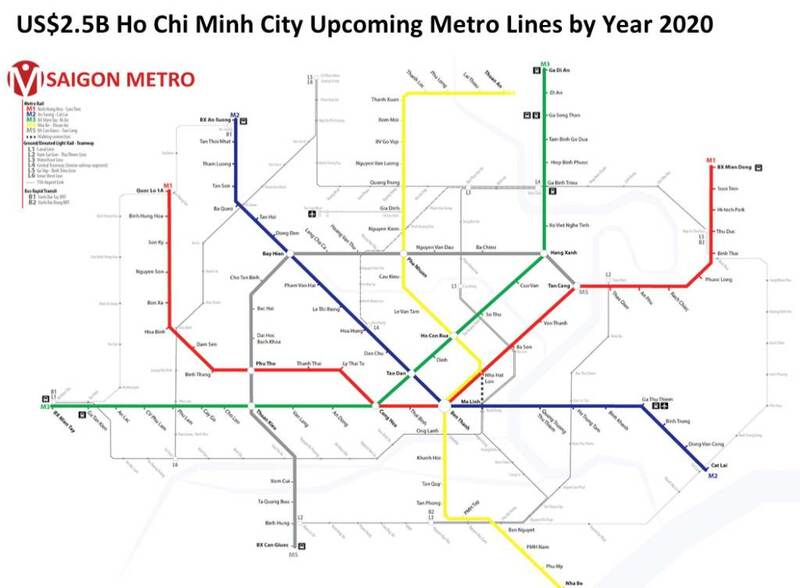 The coupled with the infrastructure development such as the metro (MRT) system in Ho Chi Minh City (HCMC), new international airport by year 2025, and the Regeneration of Thu Thiem - The new CBD -"Pudong" of HCMC, will contribute to the upside in HCMC’s property market. 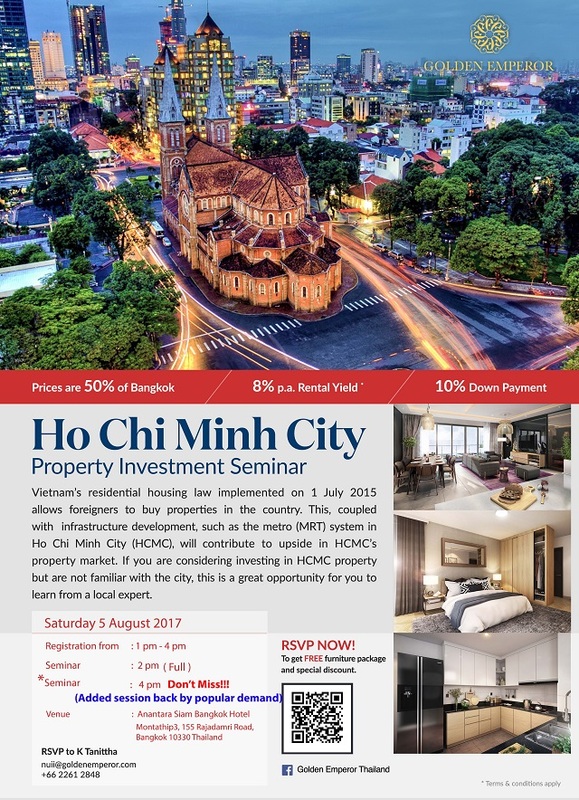 If you are considering investing in HCMC properties but are not familiar with the city, this is a great opportunity for you to learn from a local expert. 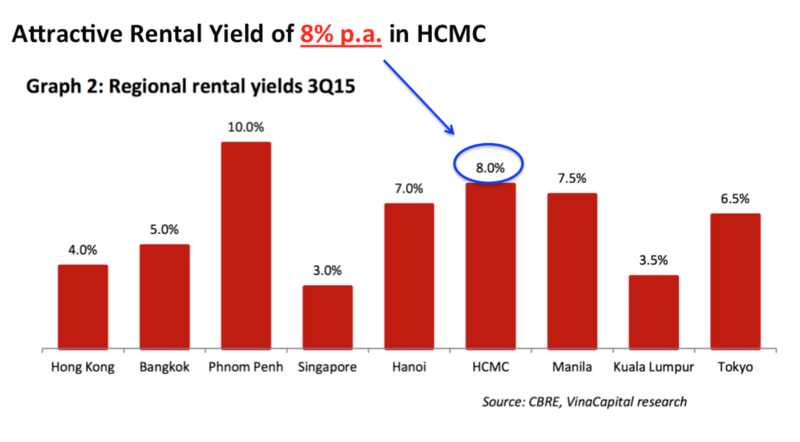 Above: HCMC currently offers an attractive rental yield of 8% p.a. 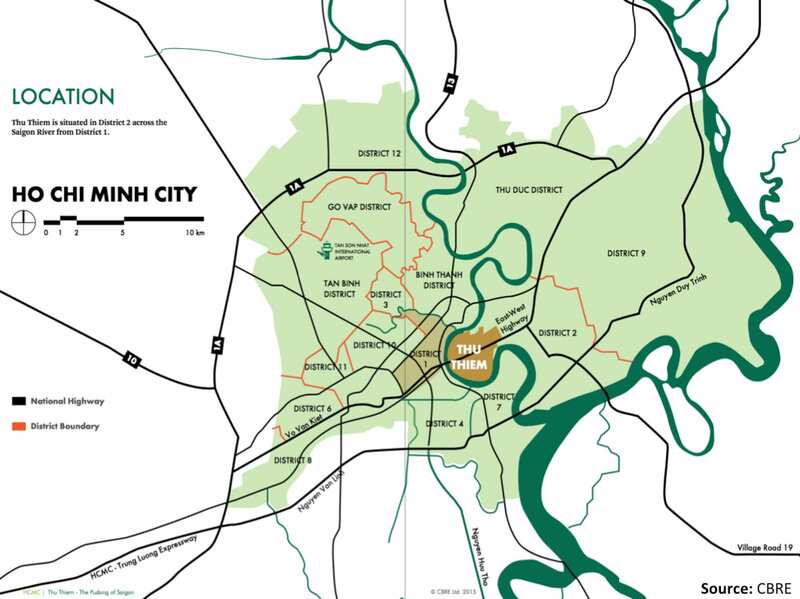 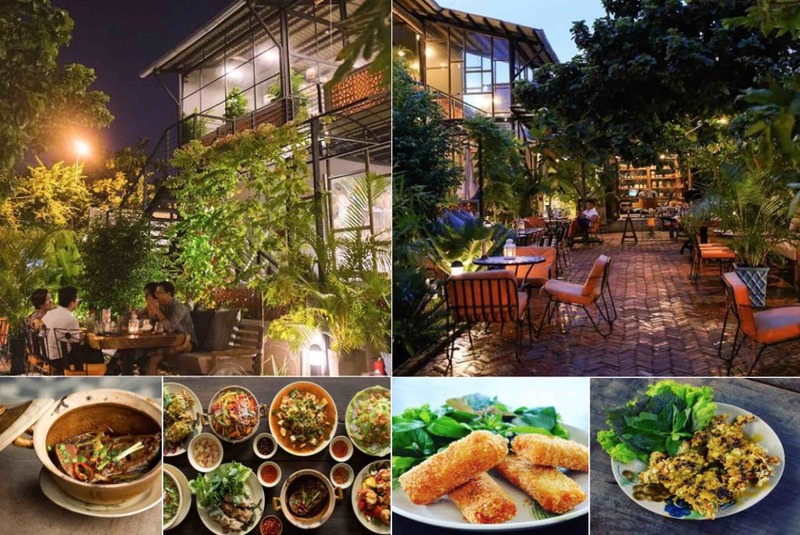 Located across the Saigon River from District 1, the 657 hectare area known as Thu Thiem is ideally located to become the new CBD – “Pudong” of Ho Chi Minh City. 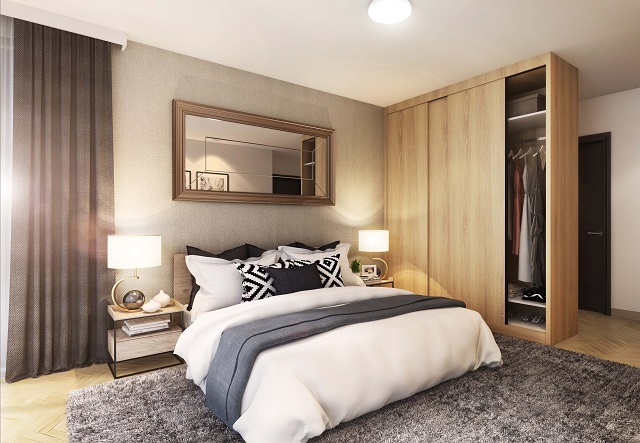 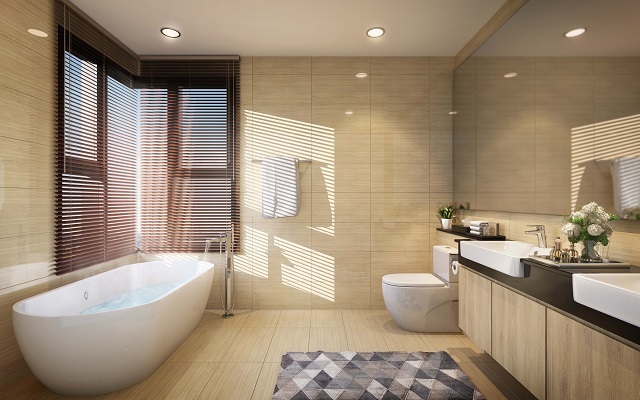 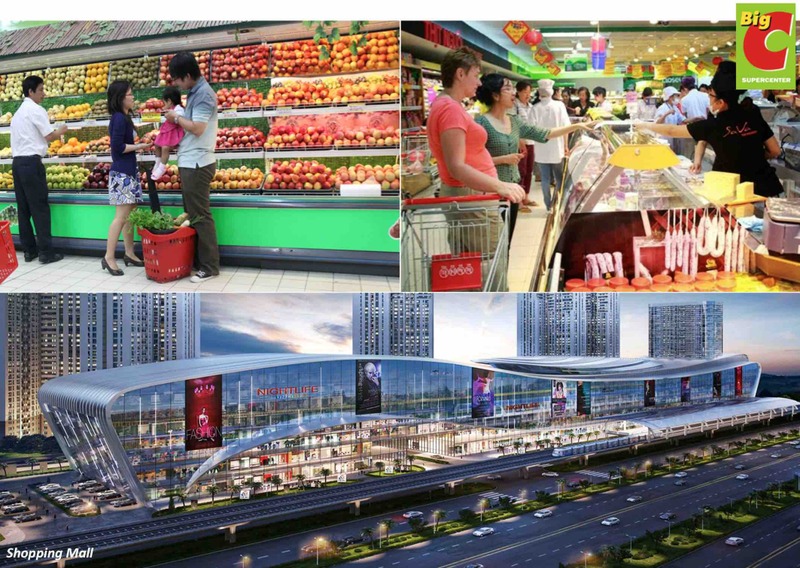 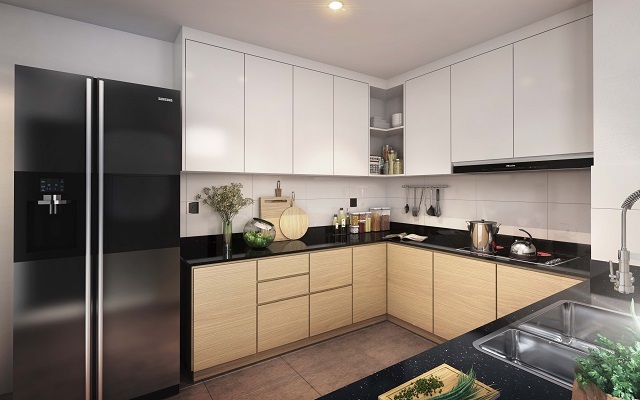 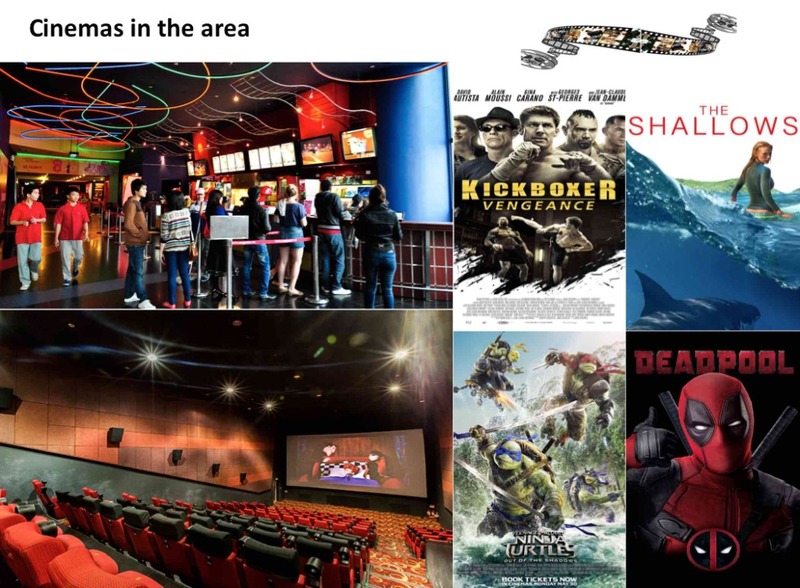 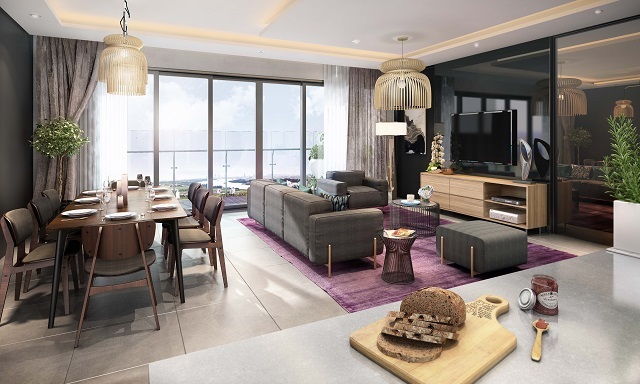 The Project located at district2 which is very near to The New CBD Thu Thiem Area (Pudong” of HCMC) and well-connected to private international schools, shopping malls,supermarkets, restaurants, cinemas and government offices. 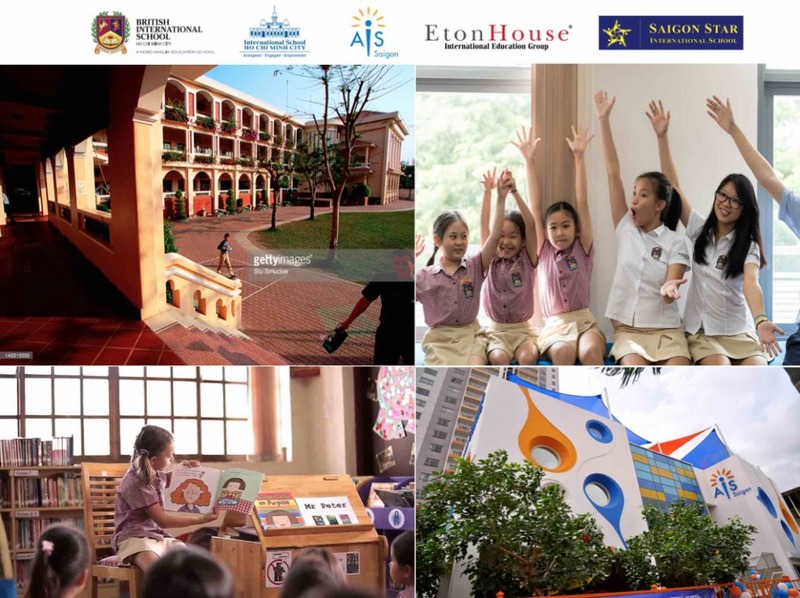 6 private international schools in this area which include British International School, Australian International School, Saigon Star International School,International School Ho Chi Minh City and Eaton House Kindergarten.